This item is usually dispatched in 2-4 workings days by Royal Mail 1st class recorded. Please see below for which light base suits which crystal size. 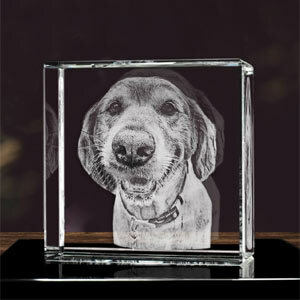 These wonderful 3D photo laser etched crystals will bring your favourite photographs to life. 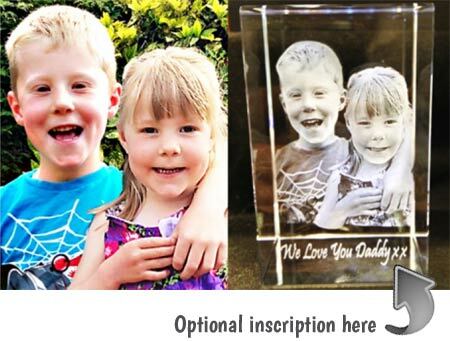 Your photo is laser engraved into a high quality crystal cube or rectangle in all its 3D glory, as you have never seen it before. Your crystal can also be personalised with a short inscription of your choice. A really beautiful way to capture those precious memories forever. These stunning 3D crystals make a keepsake, ornament or gift with a difference. You don't just have to have your pets made into crystal displays. We can do people too! Capture that moment for eternity in stunning 3D. Will never fade, wear or tear and will last from generation to generation. This exciting crystal photo display will not only astound you but also bring to life your favourite moments. An inscription is also available (optional). If you would like a name or short piece of text included on your crystal, please enter it above when ordering and it will be included for you at no additional cost. K9 rated crystal is used, which is a high quality crystal guaranteed to be free from marks and air bubbles. 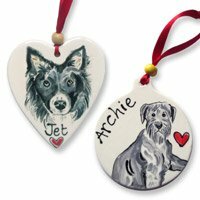 It also allows a much finer laser point to engrave without causing cracking or bleeding, resulting in a much smoother finish and giving the finished piece detail above expectation. Each crystal piece comes in a navy blue satin lined box, protecting the crystal from damage and providing a wonderful presentation to your gift, keepsake or memento. Unlike a flat 2D image e.g. a traditional photograph, 3D gives a full impression of the person or pet. From different angles you see them inside the crystal in 3D, so you can look at any side of the crystal to get different perspectives of the subject(s). The amazing 3D effect is so real and lifelike. Your photographs will almost be like real life captured into crystal. Your standard 2 dimensional photo will be converted into a 3 dimensional crystal display using the very latest 3D programming PCL conversion tool. This program allows the conversion to be deeper set then most traditional conversions giving you a more authentic 3D description of the person or pet. Each conversion is manually done extracting features from the subject(s) and is not curved or spooned for effect. All conversions provide each subject with the most accurate of profiling based on the information available but will still be subject to artist interpretation. The most popular option is to have the subject's head and shoulders immortalised into the crystal but a slightly more expensive option is to have a half or full body conversion. Whatever photo you choose, we ask that it be in focus and with the subject(s) looking in the general direction of the camera. Don't worry about the background in your photo. 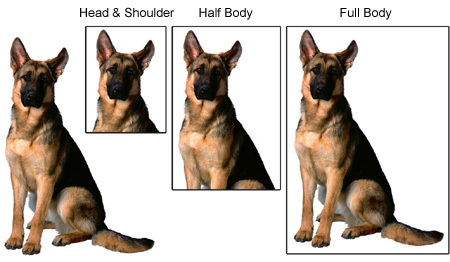 The designer will carefully remove the background so the focus is on the pet or person. The smaller cubes are great for one pet or person while the rectangles can take anything from 1 to 4 subjects, depending on the crystal size you choose - please see the diagram on the right. The orientation of the crystal is usually decided by the image being engraved as some images work best portrait and others landscape, so unless you specifically ask for a particular orientation, the designer will choose the one that is best for your photo. 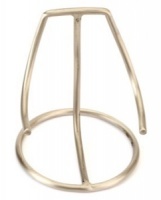 You can add an optional light base to your order for your crystal to stand on. 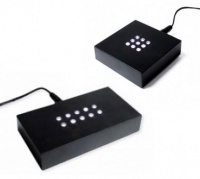 The white LEDs give a beautiful and dramatic effect and help display all the details of your crystal photo beautifully. The small square light base is 70mm x 70mm and is suitable for crystals up to size 60 x 60 x 90mm (if the crystal is portrait) or 40 x 40 x 60mm (if the crystal is landscape). 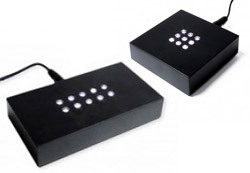 The large rectangular light base is 60 x 110mm and is suitable for the larger crystals up to size 60 x 80 x 120mm (if the crystal is portrait) or 60 x 60 x 90mm (if the crystal is landscape). Black 20mm base with central white LED lights. Mains operated. Ordered as a birthday present for a friend, and had it sent to her direct as time was scarce. She received it in time and was absolutely delighted. She has since sent me photos of the Crystal and even though the photo of her dog that I submitted was not a very high resolution, the likeness is amazing! Excellent service and quality product. Delivery super quick and well packaged. Extremely helpful with our enquiry. 100% satisfied. Beautiful engraving, so lovely to have a '3D' memory of our gorgeous dog. The original one had a spelling error but I am very pleased with the customer service, a perfect replacement was sent very quickly. I absolutely love my 3D cube. A fabulous lasting tribute to the love of my life! Original idea that really works. Already saving up so I can get a collection of all my dogs, past and present as they are so reasonably priced. 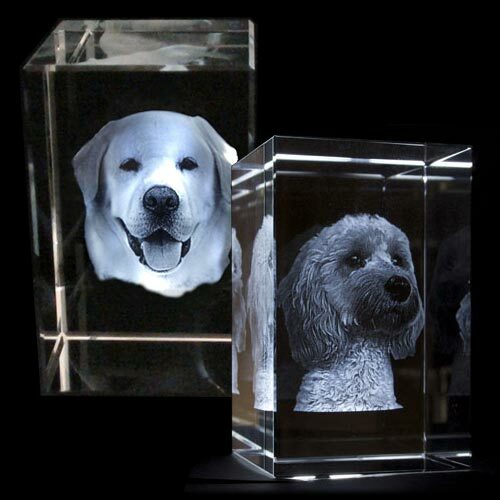 I ordered an 3D crystal cube as a present for my mum of our late dog Jack. The order arrived promptly and was better than I ever thought it would be. The detailing of Jack was amazing. I gave it to my mum for Christmas and she was blown away by it. 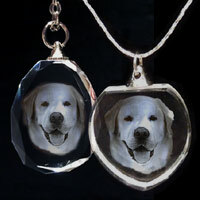 Perfect gift for those who have lost a beloved pet like us, now we can see him every day. Thank you, I also added on the stand and light which really makes it stand out. 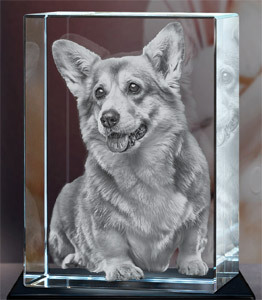 Fab site....I ordered a piece of 3d crystal in memory of my little dog.Rosie It came too me really quickly. It is just beautiful. When it arrived there was a problem with the LED light. I had a replacement sent to me within 2 days. Brilliant customer service.